Brian Bress, Blindseye Arranger (Max), 2013. (Video Still). 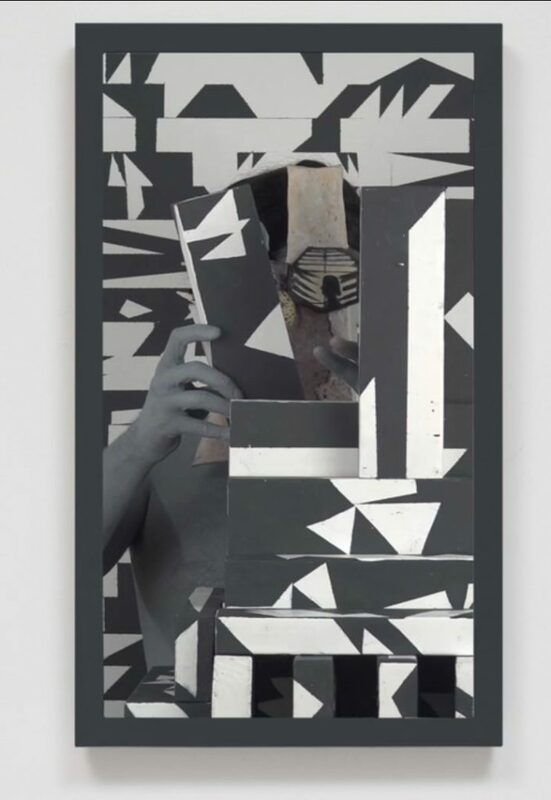 Blindseye Arranger (Max) (2013) features a greyscale arrangement of rudimentary shapes layered atop one another like a dense cluster of wood block prints, the juxtaposition of sharp lines and acute angles creating an abstracted field of rectangular and triangulated forms composed as if in a cubist landscape. As the video progresses, however, a disembodied hand begins to move these forms, animating a pictorial frame that was previously still. The hand – ostensibly the “arranger” of the works title – functions as a metonym of the artist’s hand, quite literally bringing a motionless work to life. The hand in Blindseye Arranger, though, also signals a shift towards the performative, functioning as a reminder that all works of art are created by a maker’s “hand” and, in such, are never fully separate from the context in which they are made. Bress’s gesture towards interdisciplinarity in his work, by extension, signals an important moment in which questions of medium-specificity give way to more trenchant inquiries into notions of authorship and creative process.